The $35 workout Meghan Markle called 'the best thing you can do for your body' was the hardest thing I've ever done in a gym. Here's how to do it at home. Ahead of the Royal Wedding, Business Insider checked out the workout Meghan Markle called “the best thing you can do for your body” – and it was easy to see why she’s a fan. 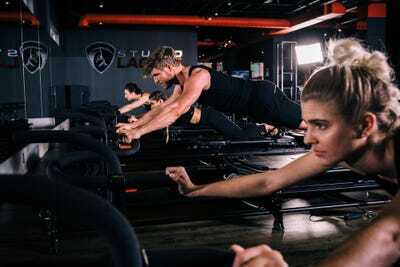 Studio Lagree, a gym used by Markle in Toronto, just launched a new London location at £30 a class ($US35 in the US). 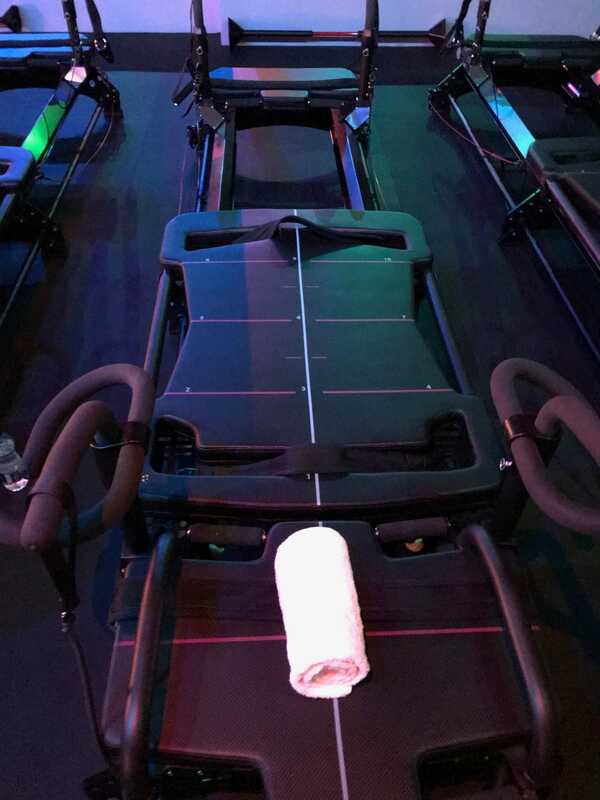 The Megaformer machine provides an intense, full-body workout using slow movements. One of the studio’s trainers explained how you can get a taste of the workout at home with four simple exercises. Prince Harry’s bride-to-be, Meghan Markle, is known for her strong stance on feminism and her habit of breaking royal traditions and smashing stereotypes. She’s also known for her enviable physique, including toned arms and long, slender legs. Apparently, Markle owes her figure partly to Megaformer, an intense, full-body workout that takes place on a moving machine. She’s been quoted calling Megaformer workouts “hands down the best thing you could do for your body,” and is said to be a fan of Studio Lagree, a provider with three locations in London. Lagree launched a new studio at the city’s Nobu Hotel in February, so Business Insider went to a class to see what the fuss was all about. Other A-list clients include Rihanna, Michelle Obama, Jennifer Aniston, Courtney Cox, Sophia Vergara, Kim Kardashian, Calvin Harris, Alessandra Ambrosio, Karlie Kloss, NBA players from the Toronto Raptors, Orlando Magic, and Cleveland Cavaliers, and Ben Stiller. And with promises of strengthening the body, toning and elongating the muscles, improving endurance, jump-starting the metabolism, burning fat, increasing flexibility and postural alignment, and “restoring the body’s natural balance,” it’s easy to see the appeal. The 50-minute class takes place entirely on a Megaformer machine, which, lined up alongside a number of others, looks intimidating upon arrival. There’s a lot of information to take in ahead of your first class. The machine is built to combine pilates, cardio, and strength-training – but it’s your core that takes the biggest hit. The Megaformer has three components: front and back platforms and a carriage that moves between the two. There are numbered lines on each part, so you know exactly where your hands and feet should be planted during each move. 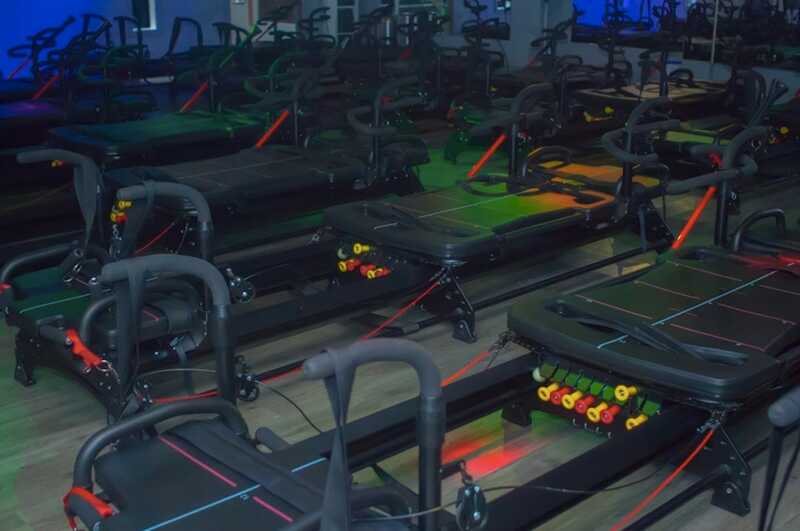 There are also springs attached to the carriage that allow you to add and remove resistance throughout your workout. Once you’re on the machine, you can perform hundreds of exercises for full-body conditioning – but you do so at a slow, controlled pace, really engaging your muscles. Lagree trainer Linda Robson told Business Insider that the slow movement is one thing that differentiates the method from other workouts. While the slow movement is what makes it “slightly excruciating,” it’s also what makes it so effective. “The slower you go, the faster you’ll see results,” she said. However, Robson stressed that it isn’t a Pilates class, which people often mistake it for. “We’re using the movement of the carriage to intensify the range of movement you can get and to intensify the work,” she said. Within five minutes of the class, we’d already done a few plank variations while holding ourselves up on the machine, and my abs were shaking. I was struggling to hold each position. The other biggest challenge for me was balance. On more than one occasion, I was afraid of falling off the Megaformer. Luckily, while the movements are slow, the class is fast-paced and you change position frequently, so it goes by quickly. Strangely enough, when it was over, I wasn’t sweating, but my whole body felt strong. I could see why it would be the perfect workout for a busy, high-profile person like Markle. 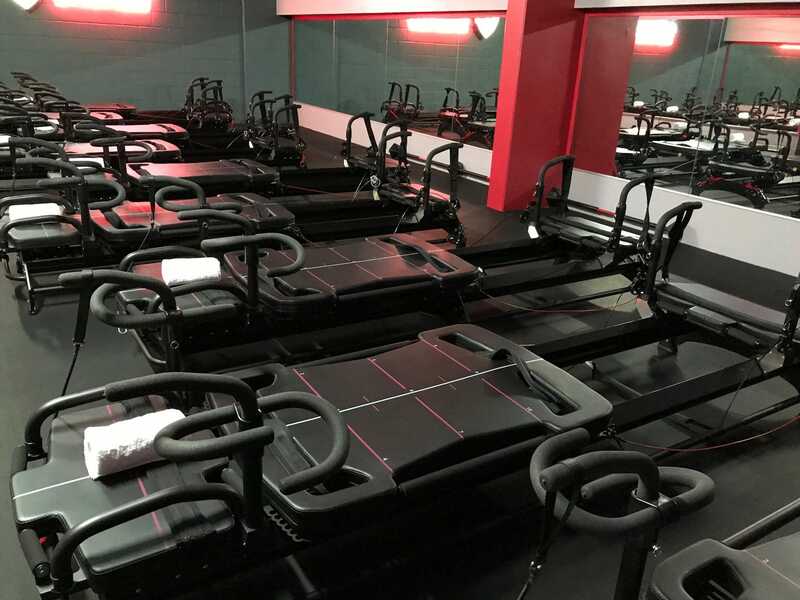 Some locations like the Nobu Hotel and Canary Wharf offer discounts for class packages and newcomers, which work out between £12 and £15 a class, but the one-off drop-in rate is £30 – not exactly affordable for those who just want to give the workout a go from time-to-time. The rate is $US35 for a drop-in class in the US. Luckily, Robson said that while the team love having people in the studio, there are ways people can mimic the workout – and its results – at home. The first movement is a lunge with your back foot on a gliding disc, or even a towel or paper plate. “We do several variations of standing lunges where your working leg is the front leg, positioned on the machine and sometimes on the floor,” Robson said. “In many of our most effective lunges, the back foot is on the carriage and is gliding backward, which helps clients maintain ‘knee over ankle’ alignment. “One of the keys of good form and alignment in a Lagree lunge is keeping the back heel really lifted, which shifts the body weight forward into the front leg – the working leg. This takes work out of the back and brings it into the glutes, exactly where we want it. “We keep the front foot still, and bend the front knee like you’re sitting down. With the back foot on the carriage, it allows you to glide backward and downward with the pelvis, keeping the front knee over the ankle. As with all Lagree movements, you should move slowly – a minimum of 4 counts to lower down into the lunge, and 4 counts to rise up out of the lunge. As you begin to stand back up, press the heel of your standing leg deeply into the floor or your yoga mat, like you’re pushing the floor away from you, rising back up from your squat for 4 counts, without completely straightening your standing leg. You’ll feel the work through the hamstring and glute of your working leg. “As you’re squatting down and rising up, be diligent about keeping the knee of your working leg aligned over the ankle and insuring your body weight is heaviest in your heel,” she said. “The second leg stays long and fairly straight out to the side, gliding away from your standing foot as you lower down into the single leg squat, and gliding back in toward the standing foot as you rise. “In the studio, this is one of our classic core moves, called Bear. It does amazing things for the entirety of the core,” Robson said. “Come down into a plank with your hands on the floor or on a yoga mat, and your toes resting on a towel, paper plate, or gliding disc. This is a progression of the Knee Tuck or Bear. “Once again, start in a plank, with your hands on the floor or a yoga mat,” Robson said. “Keeping the legs long and your heels lifted as high as possible, pull the abdominals upward for 4 counts, looking back at your legs. This will cause your body to fold in half at the hip crease – a jack-knife. Rise up only as high as you can without your heels lowering or your knees bending. Pause at the top, with your navel drawn firmly toward the spine, and slowly lower down into a plank position gazing between your hands, gliding down for 4 counts.